Let' s have fun with these toy cars that have a very important mission to carry out in Japan. You will have to park the cars in their respective place and for this we will have to use the mouse of the PC. Press on the car you want to move to start walking and press again to brake. Leave the car inside the green zone that corresponds to it and you will get to overcome the level. 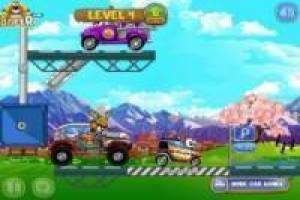 But first, you must get rid of the evil cars that are serving as an obstacle. If you do not make them fall to the emptiness, the check will not begin to verify that the vehicles are well parked. 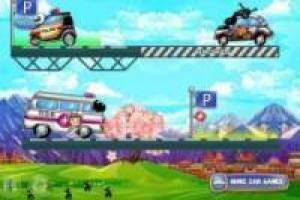 Eliminate the enemies by activating the mechanisms and get the toy cars to park in their assigned place. Have fun with this new game Car Toy, Japan Edition. 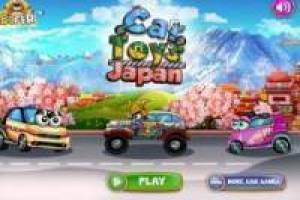 Enjoy the game Car Toy Japan Edition, it's free, it's one of our Toys games we've selected.